Mountain Mods U2-UFO Replacement Front Panel can be used with any U2-UFO "Hyper Modular" case. The panel can be used on Extended U2-UFO cases as well. Whether you want to change your existing setup, botched a mod job, or just want another option - the U2-UFO Replacement front panel is here for you. 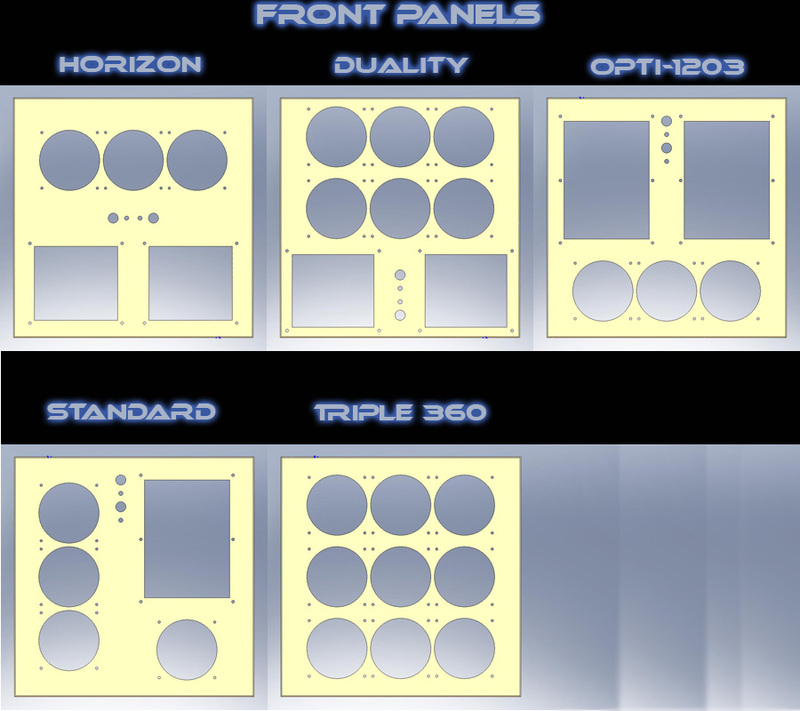 Choose from a variety of front panels and finishes. Choose Fan Spacing for water-cooling applications. The front panel does not include any extra screws or drive bays.